In the summer of 1944, The Mississippi Regional Housing Authority IV was created for the purpose of providing decent housing at affordable prices to citizens in our nine-county area of operation. Today our mission remains unchanged. We believe that nothing is more important to the life of a community than neighborhoods. Essential to good neighborhoods is adequate and affordable housing. Throughout the years, MRHA IV has enjoyed growth of stature, reputation, and response to its communities. We serve both as provider and as an employer, under the strong, perceptive leadership of the Board of Commissioners and staff. 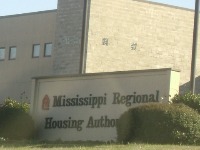 The Mississippi Regional Housing Authority IV provides over 2,500 assisted housing units for over 7,000 individuals in the nine northeast Mississippi counties.